Photo by Marion Post Woolcott. September 1938. 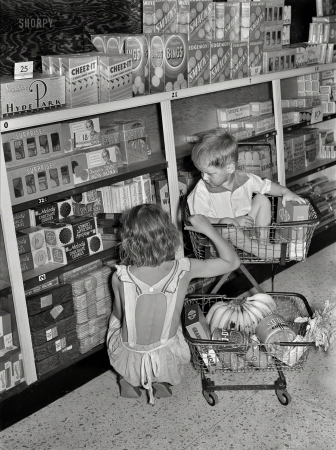 "Children buying groceries in co-op store. Greenbelt, Maryland."